A Palestinian killed during an Israeli army raid on his home in the West Bank town of Birzeit has been buried. Motazz Washaha was found dead after the raid on Thursday morning. The army said he was “suspected of terror activity”. Actually, Washaha reportedly had helped plan and carry out numerous terror attacks across the West Bank. About 4,000 mourners attended the funeral on Friday at Birzeit, north of Ramallah. Many called on Palestinian factions to unite and avenge Washaha’s killing. He was identified by neighbours as a member of the leftist Popular Front for the Liberation of Palestine [PFLP] – the movement’s flags were raised at his funeral. So, Guardian readers are informed that PFLP is merely a “Leftist” organization! Of course PFLP is a Marxist-Leninist Palestinian terrorist group which rejects Israel’s right to exist within any borders. PFLP is known for having pioneered techniques of international flight hijackings, was responsible for multiple deadly terror attacks in Israel and is officially listed as a terrorist group by the United States and European Union. Hijacking of 3 planes belonging to Western countries (September 6, 1970): Three commercial airliners were hijacked and blown up after the passengers were evacuated. An attempt to hijack an Israeli (El Al) airliner was foiled. Three days later another Western plane was hijacked as well. The assassination of Rehavam Ze’evi (October 17, 2001). 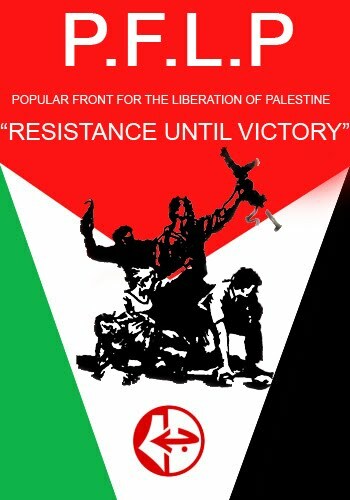 On PFLP’s website, violence against Israeli civilians is justified by virtue of the fact that they are a “liberation movement” and – evoking agitprop used historically by Marxists to justify violence and other extremist measures – a “progressive national movement against the forces of aggression and imperialism“. Whilst it’s of course not at all surprising that the group would present themselves as a left-wing or progressive force, professional journalists have the duty, at the minimum, not to serve as a mouthpiece for such crude propaganda. Is the Economist concerned that Jews may be judaizing the Jewish state? Amjad Awad and Hakim Awad, the perpetrators of the Itamar massacre, were affiliated with the PFLP . Terrorists are merely “leftists” or “militants”, eh Guardian/Beeb? And I suppose 9/11 was just a “bad day at the office”? Weren’t the PFLP also behind the Entebbe hijacking? Not the only time they separated Jewish passengers, of course. So the G. report puts the “suspected of terror activity” bit in quotes – despite PFLP flags at his funeral and locals confirming his affiliation?? It confirms the suspicion that Al Guardian maintaines a dubious relationship with terror and misinforms on terrorists whether by hiding the facts about their terror-affiliation or by completely ignoring them. Anyway, it is more than a mere coincidence when Al Guardian calls the terror organisation PFLP a leftist one, its a confirmation. Even the EU, quite soft on terror organisations,.listed the PFLP. It looks like Al Guardian is hiding behind the British list which doesn`t refer to the PFLP. You might be right, Fritz, but they also have a record of failure to call even those organisations ON the UK list “terrorist” (as long as they are anti-Israel). It’s quite simple, really. What the staff of The Guardian, and the staff of The Economist, and all other such people (such as many Western journalists, some Western academics, many members of Western NGO’s, many members of Western governments, many leaders of Western Christian religious denominations, etc.) propagate by things such as this article by The Guardian are ideologically genocidal anti-Jewish libels and thereby genocidal anti-Jewish bigotry. And the universal propagation of ideologically genocidal anti-Jewish libels results in the occurrence of things such as what, in the 1930’s, was Western Socialist, and so-called “liberal”, so-called “Pacifists’” excusing and defending the Nazi regime of Germany and calling people who advocated for opposing the Nazi regime of Germany “warmongers”, and what, today, is Western contemporary so-called “Progressive” so-called “liberals” holding antipathetic views about the liberal democratic newly-re-founded sole country of the Jewish people and supporting a Nazi-legacy ideologically genocidal anti-Jewish political movement. “…But my Oxfam Moment came one summer’s evening when a senior Oxfam executive invited me to dinner at his sumptuous home in the rolling Oxfordshire countryside. He was cultured, brilliant and cool. Every inch the top Foreign Office diplomat, which had indeed been his previous calling. Before dinner, he suggested we take drinks on the lawn. As an afterthought, he asked the butler to bring out his portable radio so that we could listen to the news. It was, after all, the first day of the Six Day War. “The BBC faithfully reported claims by the Israelis that they had destroyed the air forces of Egypt and Syria on the ground. Then, the newsreader intoned the Arab claims that they had inflicted extensive damage on the Israeli army; that Egyptian tanks were advancing; that they were now 25 kilometres from Tel Aviv. 1. The term “anti-semitism” means anti-Jewish bigotry. However, the term “anti-semitism” is an imprecise euphemistic term propagated most influentially by a German racist anti-Jewish bigot, Wilhelm Marr, in the late 1880s. And nowadays, after the Nazi anti-Jewish Holocaust, the term “anti-semitism” is thought of by very many people in Western societies as meaning only overtly expressed ideologically genocidal anti-Jewish bigotry. “Palestine”: The British Mandate of Palestine. The British Mandate of Palestine was constituted by what is now Jordan, and by what is now Israel, and by what is now called “The West Bank” (Judea and Sameria), and by what is now called “The Gaza Strip”. The British Mandate of Palestine, according to still-legally-binding international law (established at the San Remo Conference of 1920), was mandated to be the national state of the Jewish people. Between 1921 and 1924, Britain created the Arab state Transjordan in the British Mandate of Palestine, in contravention to the Faisal-Weizmann agreement of 1919, and in contravention to the San Remo Conference of 1920. In 1946, Britain granted autonomy to Transjordan, and Transjordan was renamed Jordan. I notice that someone down-voted, with one star, my main previous comment and my corrective comment to my main previous comment. I think that the person who did so may not have even read the whole of my main previous comment. And I think that that person most likely didn’t view and read the sources to which I linked. The down-voting of my main previous comment is a manifestation of the anti-Jewish bigotry that is described in my main previous comment. There is no rational reason for my main previous comment and my corrective comment to my main previous comment to be down-voted. Anti-Jewish bigotry is intransigent belief in lies which vilify the Jewish people, and is ideologically inherently ultimately genocidal, and has been, repeatedly, ultimately actually genocidal. I notice that someone immediately down-voted, with one vote, even the comment to which this comment is a reply. I’m vexed by that response to the comments which I posted. And so I feel compelled to write this comment. But I realize that my feeling vexed and my posting comments such as the comments that I have posted here is not good for me emotionally-mentally-spiritually. And I realize that everyone is responsible for their own actions. So I won’t post any more comments here about this topic.